The use of replacement heart valves continues to grow due to the increased prevalence of valvular heart disease resulting from an ageing population. Since bioprosthetic heart valves (BHVs) continue to be the preferred replacement valve, there continues to be a strong need to develop better and more reliable BHVs through and improved the general understanding of BHV failure mechanisms. The major technological hurdle for the lifespan of the BHV implant continues to be the durability of the constituent leaflet biomaterials, which if improved can lead to substantial clinical impact. In order to develop improved solutions for BHV biomaterials, it is critical to have a better understanding of the inherent biomechanical behaviors of the leaflet biomaterials, including chemical treatment technologies, the impact of repetitive mechanical loading, and the inherent failure modes. This review seeks to provide a comprehensive overview of these issues, with a focus on developing insight on the mechanisms of BHV function and failure. 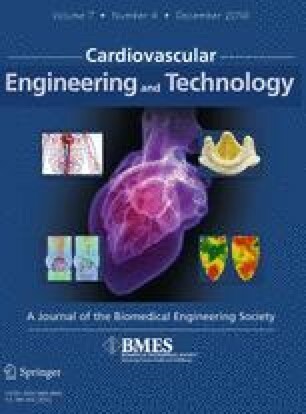 Additionally, this review provides a detailed summary of the computational biomechanical simulations that have been used to inform and develop a higher level of understanding of BHV tissues and their failure modes. Collectively, this information should serve as a tool not only to infer reliable and dependable prosthesis function, but also to instigate and facilitate the design of future bioprosthetic valves and clinically impact cardiology. National Institute of Health, Award Number R01 HL119297 and R01 HL63954 to MSS. National Institute of Health, Award T32 to KRF. American Heart Association, Post Doctoral Fellowship 14POST18720037 to AA. No human studies were carried out by the authors for this article. No animal studies were carried out by the authors for this article.